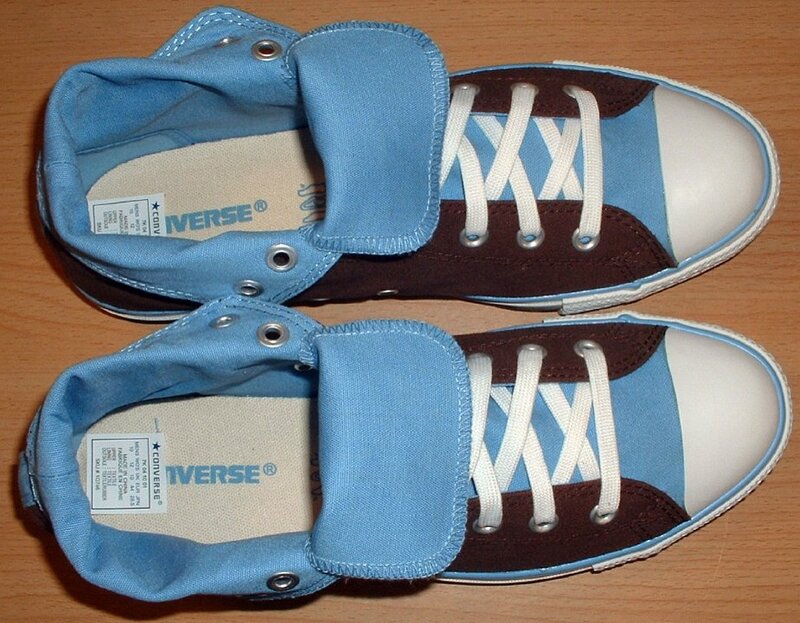 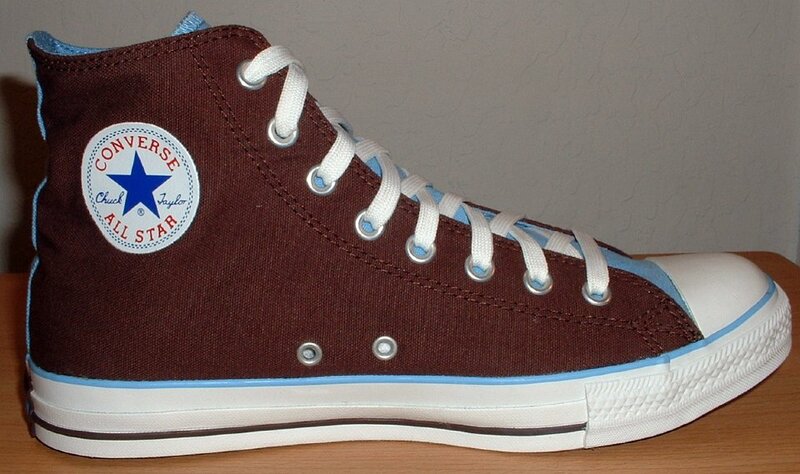 Photo gallery of chocolate and Carolina blue foldover high top chucks. 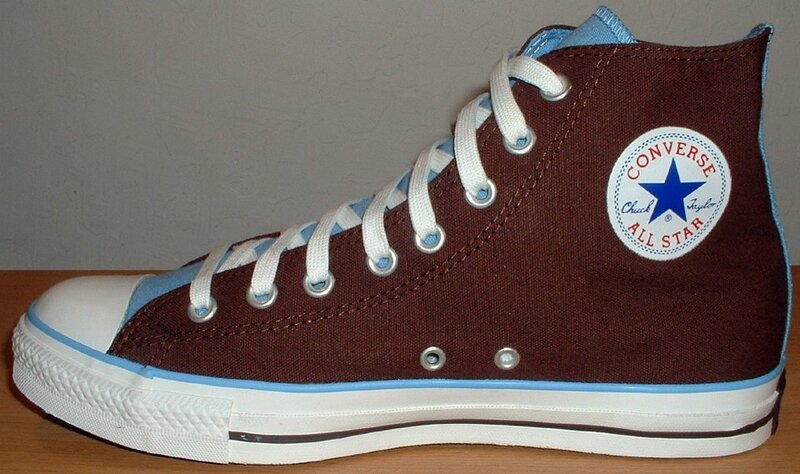 1 Chocolate and Carolina Blue Foldover High Top Chucks Left brown and Carolina blue 2-tone high top, inside patch view. 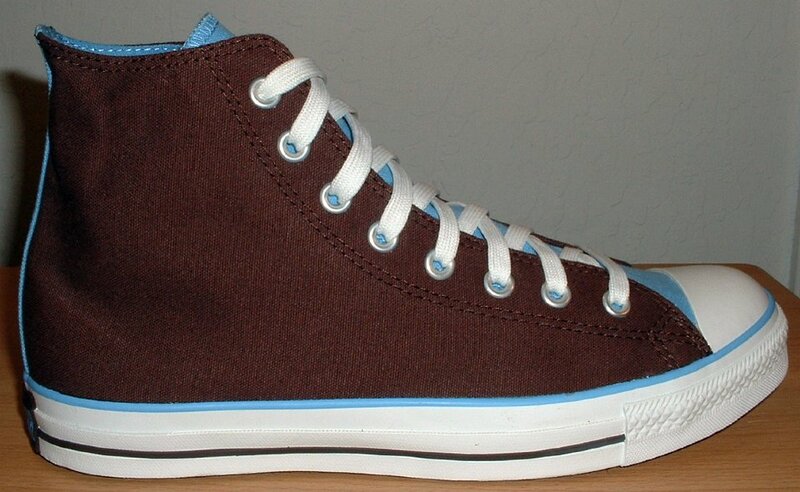 2 Chocolate and Carolina Blue Foldover High Top Chucks Left brown and Carolina blue 2-tone high top, outside view. 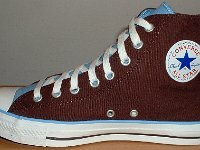 3 Chocolate and Carolina Blue Foldover High Top Chucks Right brown and Carolina blue 2-tone high top, inside patch view. 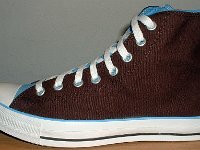 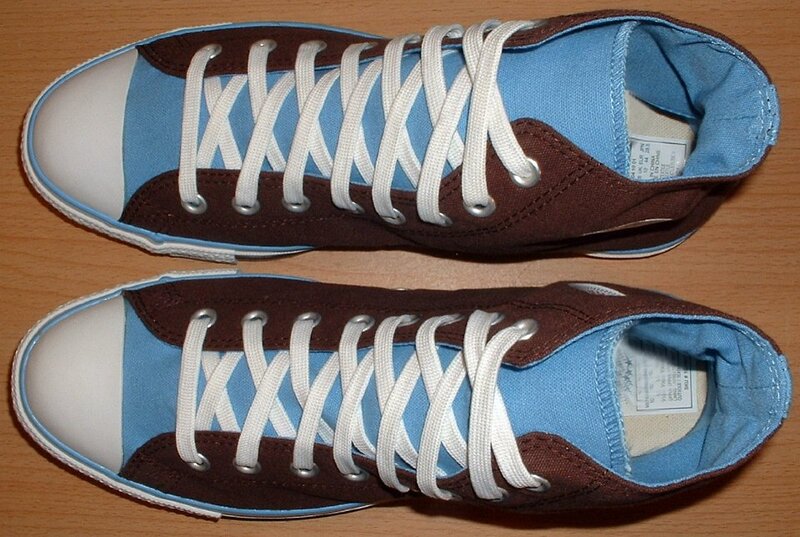 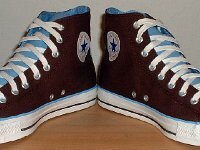 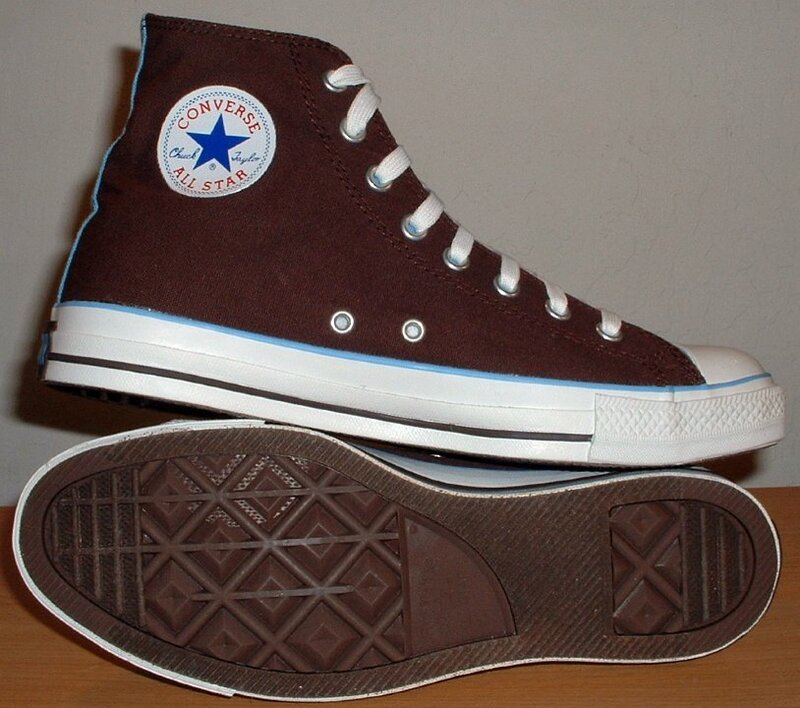 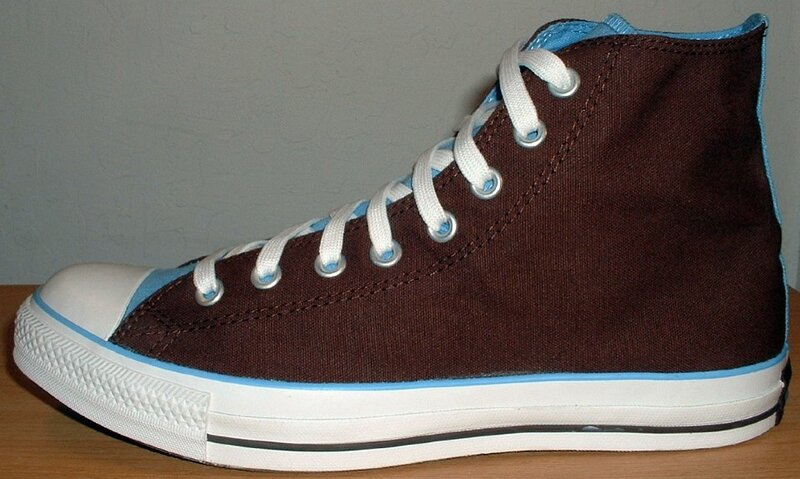 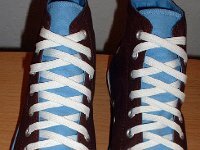 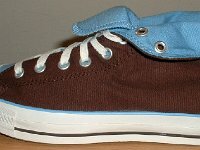 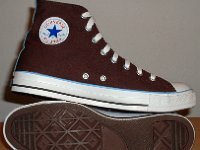 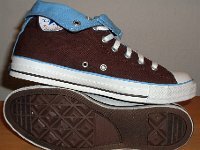 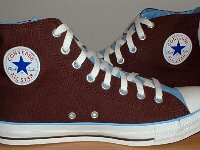 4 Chocolate and Carolina Blue Foldover High Top Chucks Right brown and Carolina blue 2-tone high top, outside view. 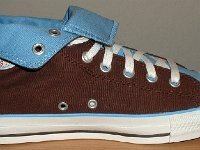 5 Chocolate and Carolina Blue Foldover High Top Chucks Brown and Carolina blue 2-tone high tops, front view. 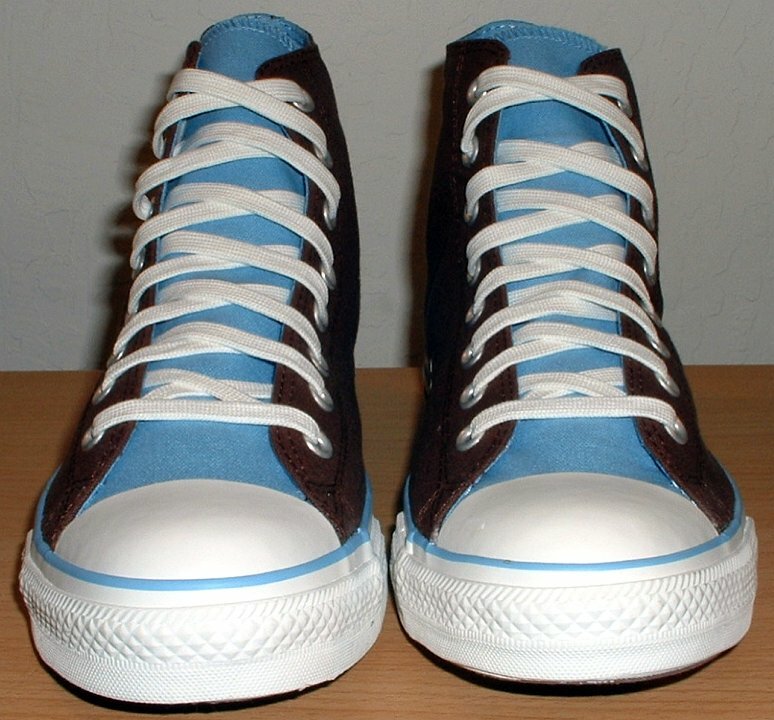 6 Chocolate and Carolina Blue Foldover High Top Chucks Brown and Carolina blue 2-tone high tops, angled front and top view. 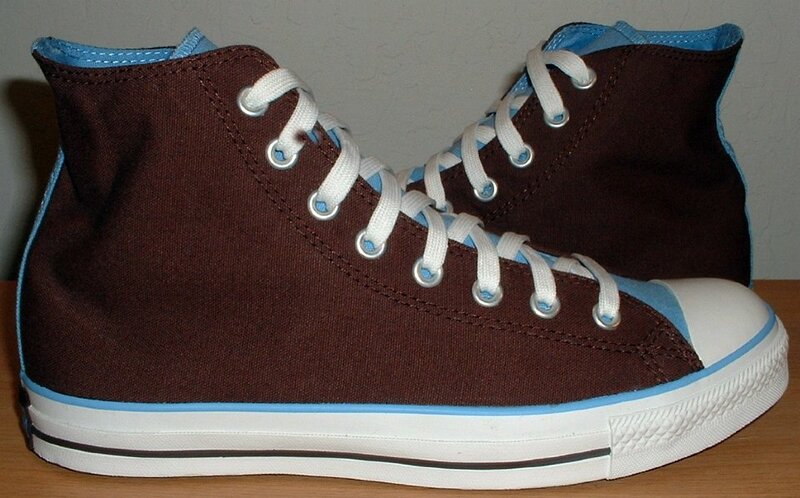 7 Chocolate and Carolina Blue Foldover High Top Chucks Brown and Carolina blue 2-tone high tops, top view. 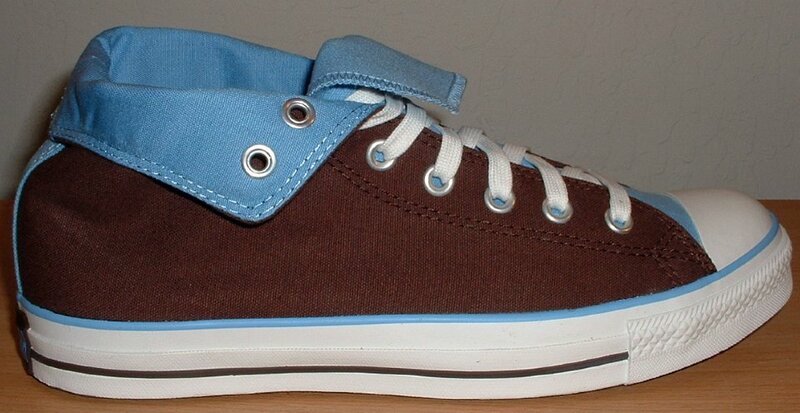 8 Chocolate and Carolina Blue Foldover High Top Chucks Brown and Carolina blue 2-tone high tops, rear view. 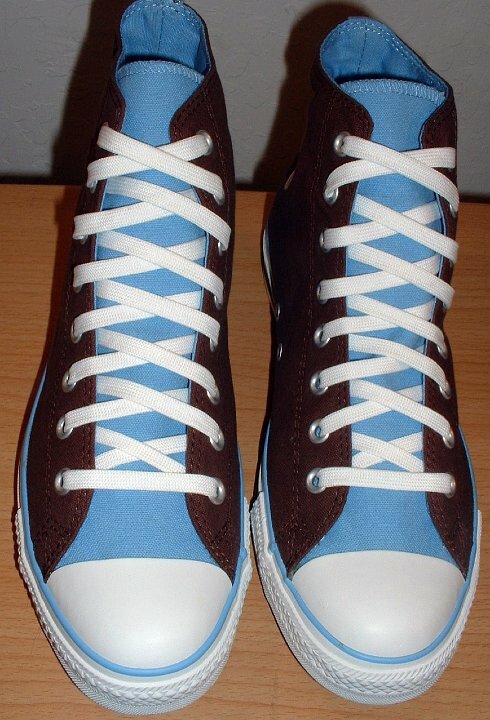 9 Chocolate and Carolina Blue Foldover High Top Chucks Brown and Carolina blue 2-tone high tops, angled front view. 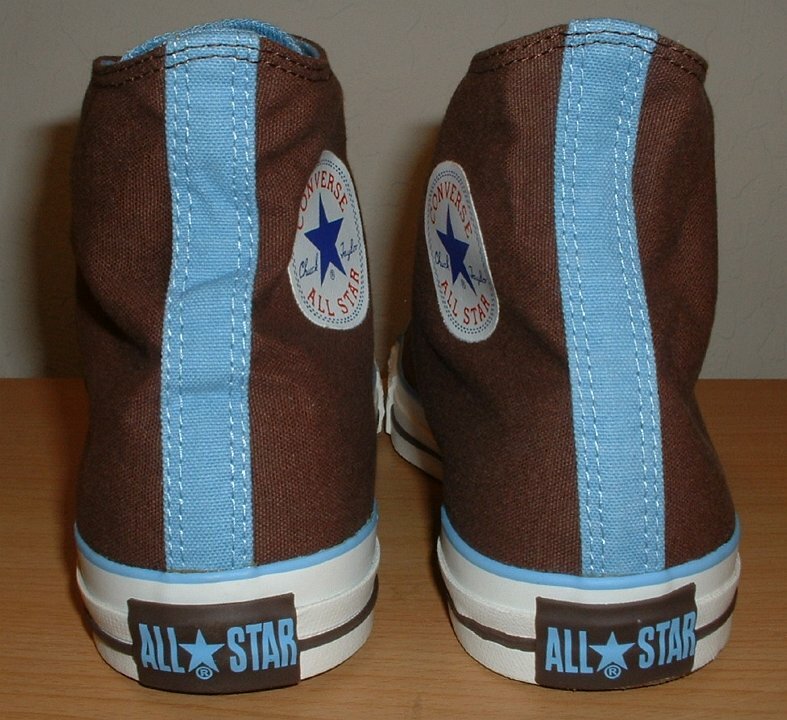 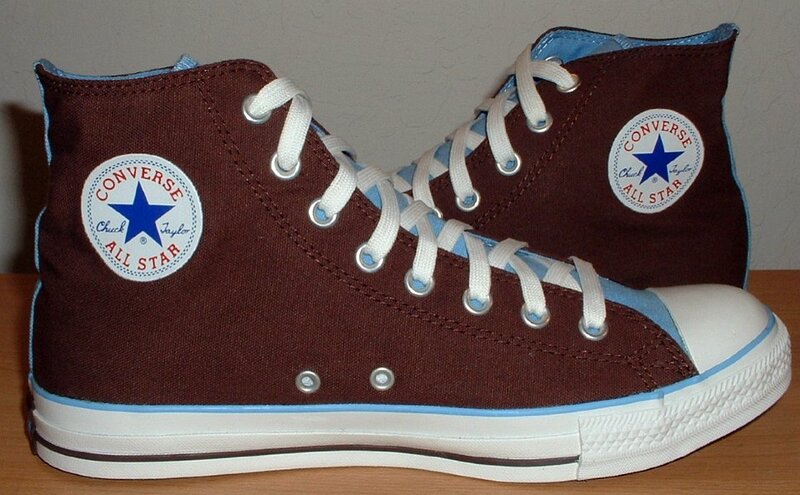 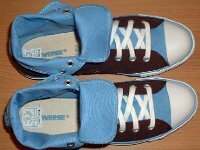 10 Chocolate and Carolina Blue Foldover High Top Chucks Brown and Carolina blue 2-tone high tops, inside patch views. 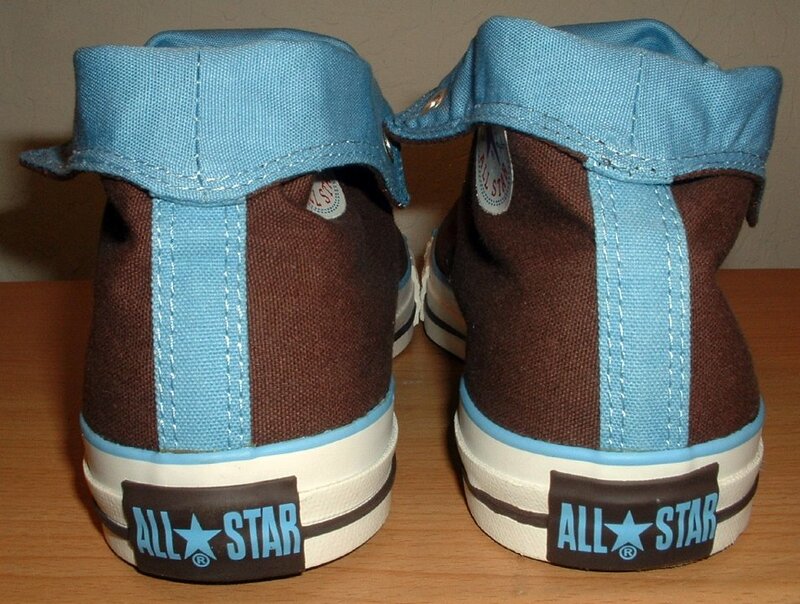 11 Chocolate and Carolina Blue Foldover High Top Chucks Brown and Carolina blue 2-tone high tops, inside patch views. 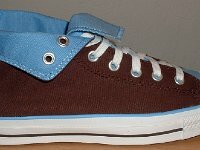 12 Chocolate and Carolina Blue Foldover High Top Chucks Brown and Carolina blue 2-tone high tops, Inside patch and sole views. 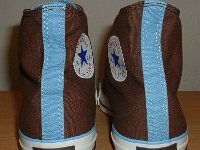 13 Chocolate and Carolina Blue Foldover High Top Chucks Rolled down right brown and Carolina blue 2-tone high top, inside patch view. 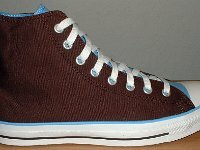 14 Chocolate and Carolina Blue Foldover High Top Chucks Rolled down right brown and Carolina blue 2-tone high top, outside view. 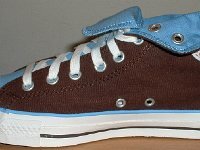 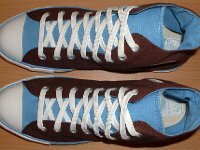 15 Chocolate and Carolina Blue Foldover High Top Chucks Rolled down left brown and Carolina blue 2-tone high top, outside view. 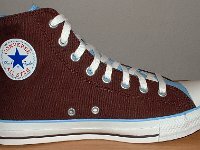 16 Chocolate and Carolina Blue Foldover High Top Chucks Rolled down left brown and Carolina blue 2-tone high top, inside patch view. 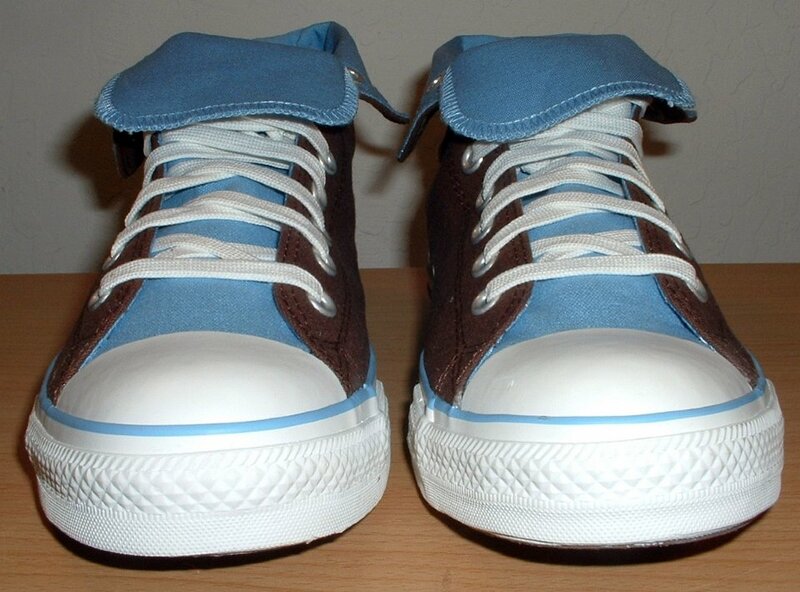 17 Chocolate and Carolina Blue Foldover High Top Chucks Rear view of rolled down brown and Carolina blue 2-tone high tops. 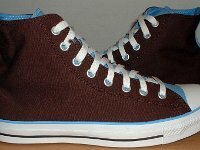 18 Chocolate and Carolina Blue Foldover High Top Chucks Front view of rolled down brown and Carolina blue 2-tone high tops. 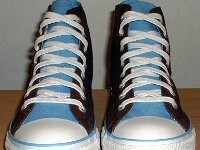 19 Chocolate and Carolina Blue Foldover High Top Chucks Angled front view of rolled down brown and Carolina blue 2-tone high tops. 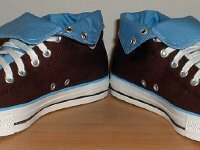 20 Chocolate and Carolina Blue Foldover High Top Chucks Top view of rolled down brown and Carolina blue 2-tone high tops. 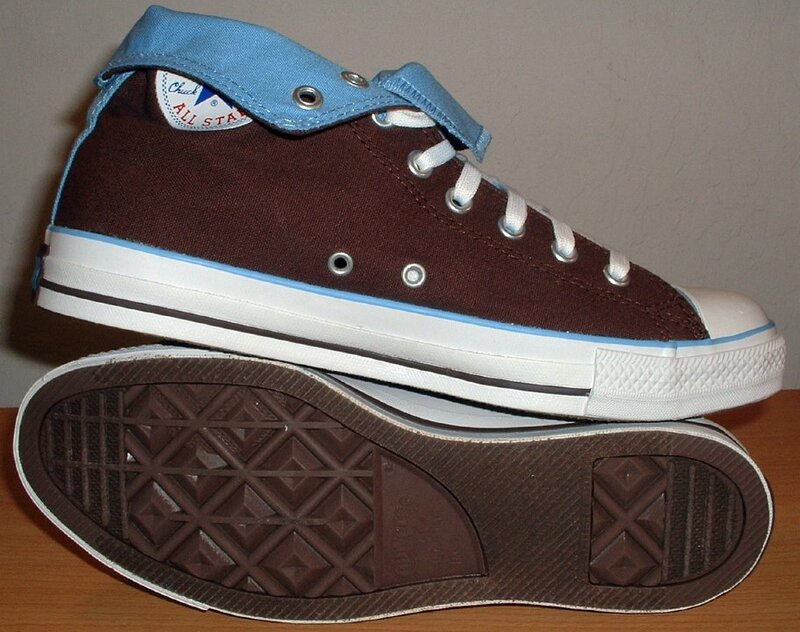 21 Chocolate and Carolina Blue Foldover High Top Chucks Inside patch and sole views of rolled down brown and Carolina blue 2-tone high tops. 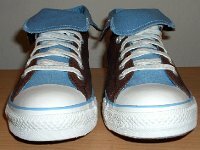 Chocolate brown and Carolina blue 2-tone foldover high tops can be worn as a regular high top or worn folded down as shown in the second set of pictures.